The New Year is a perfect symbolic opportunity to detox from old heavy and toxic energy, and enjoy your natural state of lightness, love, truth, and purpose. Letting go of the old means releasing old energy . . . especially old toxic energy. Much of the healing angel -- Archangel Raphael’s healing work comes from his release of built-up toxic energies, chiefly stored anger and unforgiveness. The healing workbook, A Course in Miracles, clearly states that all forms of illness stem from unforgiving thoughts. Virtually every religious and spiritual path advocates forgiveness as a necessity to healthy living. So how do you forgive the seemingly unforgiveable? How do you let go of anger when someone’s actions hurt you? The first step is to decide that you’re willing to consider forgiveness as an alternative. As long as you’re set against forgiveness, it can’t occur. Some people hang on to resentment because they want to punish the offending person. Yet, who’s really punished if you’re holding toxic and acidic anger within your mind and body? Just a tiny bit of willingness to forgive can open the doorway wide enough for the angels to enter and effect an emotional healing. “Dear God and Archangel Raphael, I am willing to forgive [person’s name] and myself for this situation, in exchange for inner peace. I am willing to take responsibility for the role that I played in this situation, and I ask for help in truly learning the life lessons involved in this challenge. I am no longer willing to carry the burden or toxins of anger in my mind and heart. I now fully and freely give these judgements, thoughts, and feelings to you for purification, detoxification, cleansing, and transmutation. Your body will likely react to this prayer, as the angels release toxins from your physicality. So you may experience shakes or shivers, during the cathartic process. 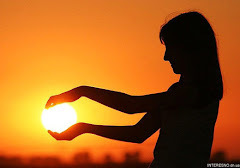 This is a positive sign that your cells are releasing old energy, helping you to feel lighter and freer. There’s a healing reason why virtually every religious and spiritual path strongly recommends forgiveness. “I release, I detoxify, I purify.” Say this repeatedly, and feel lighter and happier. Most importantly, focus upon forgiving YOURSELF for what you think you’ve done or not done. Learn from your regrets, instead of beating yourself up for them! It’s all about progress, not perfection. 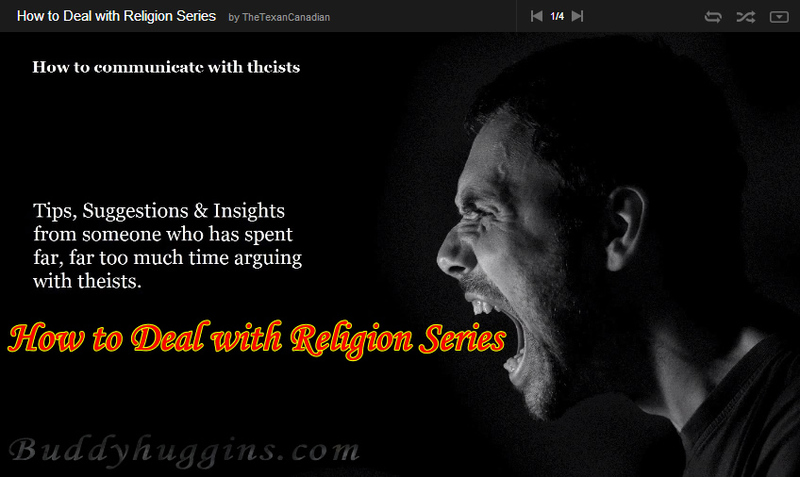 Here are 8 tips on how to talk to theists. Reasoned arguments should only be used when someone can revise his or her beliefs based on them. Theist - a person who has faith-based beliefs that a god or gods exist. Atheist - a person who does not have faith-based beliefs that a god or gods exist and/or rejects claims that a god or gods do exist. God - a supernatural controlling entity with intelligence and agency to interact with the physical world. Peace Mother Geeta Sacred Song introduces you to Mayan Shamanic Soul Retrieval Limpias, an ancient spiritual healing practice, which helps to alleviate suffering by clearing physical, mental, emotional, material and spiritual blocks that torment the soul. This ancient Shamanic Sacred Therapy has been used to disperse emotional, physical, mental and spiritual distress. Shamanic Mayan Soul retrieval Limpias have been utilized to assist in the treatment of dissolving both short-term and long-standing physical conditions, removal of negative emotions, assisting with Spiritual healing, evolution and expansion. Peace Mother Geeta Sacred Song is an Enlightened “Shaktipat” Master and inter- national Peace Shaman. An ecstatic and miraculous Being, She is a Holy Mother, a recognized embodiment of the Divine Mother of the Universe, who travels the world...healing, awakening and uplifting consciousness. 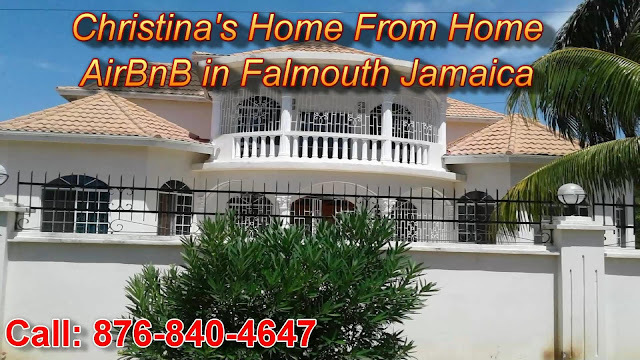 Donated by Spirit to help relieve human- ity of suffering through Her Prayer Songs, Sacred Ceremonies and Teachings, She was chosen since childhood to carry on the Divine soul healing Work of the Peace Shaman Lineage. Her Life Path led Her to the traditions of India, where She immersed Herself in healing mantras and mastered the power of healing sound to the highest degree. After this was accomplished, She was guided to apprentice with one of Mexico’s most powerful and beloved Mayan Peace Shamans, Don Jacinto Tzab. She was trained in the Ancient Science of Mayan Soul Retrieval by Don Jacinto, who himself was initiated into the role of Peace Shaman at age 14, by His Teacher, Don Feliciano. 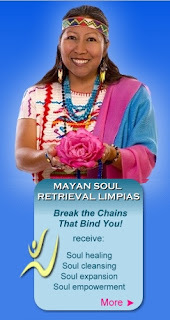 Mayan Soul Retrieval Limpias, are a Sacred Thera- py for defending and fortifying the Light within each soul and place. This Pow- er, Honor and Responsibility has been passed down through a Lineage of Mayan Shamans for thousands of years. As the Chosen One of this Lineage, Peace Mother is the Peace Shaman of our times. As a Divine Vessel for the Mayan Lineage, the Holy Mother bestows Her blessings around the world, healing individuals, sacred sites, and the Earth’s Land and Waters. She lovingly showers us with Her Grace-full, healing vibration through thunderous Prayer Songs, Mantras, and Peace Ceremonies. She is known for Her uplifting Peace Concerts, inspiring music, empowering Teachings and potent tools for Spiritual Protection; mystically strengthening our connection to Divine Source and our Spirit Guides, amplifying Harmony, Radiant Health, Wisdom, Peace and Enlightenment in our lives. The Holy Mother is the Living Sound of Light and every moment with Her can advance you spiritually in a quickened way. We have experienced that every word She utters is actually the Universe speaking! She bestows immense blessings upon us through books, videos, the chanting CDs She has created and Mayan Soul Retrieval “Shaktipat” Limpias. 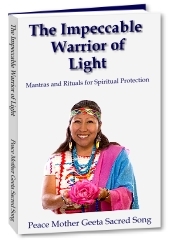 The word ‘Limpia’ refers to a spiritual cleansing, and in “The Impeccable Warrior Of Light” book, Peace Mother has provided you many ways to perform a cleansing over yourself and others. Peace Mother’s message to the world is that Peace can only be upheld by beings that are committed to impeccable protection for their soul. Therefore, to protect Harmony, Health, Prosperity, Wisdom and Peace in our lives, She prescribes daily clearings of negative energies for every home and being. 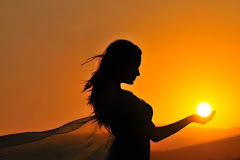 To assist humanity in maintaining the highest and purest vibration, She has created abundant tools that enhance the Light in our lives and help us live our Highest Destiny. These can all be found on our website www.sacredpeace.org. "Meditate, sing, dance, drum, chant, rejoice! Take refuge in your spiritual practices. All paths lead to the Sacred Temple of the Heart." Spiritual protection is essential for those who wish to enjoy a Radiant Life and whether you desire to experience a quick release from pain, negative pat- terns, illness, the painfull past, psychic attack...or experience a profound quantum leap in Higher Consciousness...you will benefit immensely from a Mayan Soul Retrieval Shaktipat Limpia with Peace Mother. The Soul Retrieval Limpia Prayer which the Holy Mother offers the Universe during Soul Retrieval sessions, has ancient roots of Purity and Power, having been bequeathed by each generation of Impeccable Shamans to the next Chosen One. Soul Retrieval is an ancient science used to identify, diminish and remove negative forces creating imbalance in the aura, mind, body and personality. These ibalances fragment the soul, and thereby show up in your life in the form of mental, emotional, physical, spiritual or material problems. Shaktipat is the ancient Vedic science of the Master (Guru) activating the inner Light within a being by infusing them with brilliant Light. The Master is a channel for the blazing Light of the Universe and that magnificent Light lives within them. Shaktipat Limpias by Peace Mother are a shower of Grace, a direct flood of Light from the Divine Forces of Compassion. During the session with Peace Mother, this blazing Light is radiated into the soul of the seeker and this illuminates Wisdom and ancient memory within the person so they can experience their true nature, their Light Essence. Peace Mother’s Soul Retrieval Work is a rare combination of the Mayan Peace Shaman’s prayers and a “Shaktipat” infusion of Light into the soul is the science of Soul Retrieval at the most miraculous level. During the Soul Retrieval Limpia, a petition in the Ancient Mayan Holy language is delivered on behalf of the recipient for a shower of Grace to flood the individual, to wash away whatever is obstructing the Purest, Brightest Light. With the Soul Healing Invocation, the Holy Mother calls on Divine Mother’s Grace, as well as the Mayan Lineage of Master Healers, the Legions of Light and Compassionate Earth Forces that as- sist this miraculous Work. The Compassionate Celestial and Earth Forces each have a sacred name and as the Holy Mother calls out the holy name, each one is summoned to be present and bless the seeker. These Forces respond in a supremely mighty and benevolent way, immediately lifting negativities from the mental, emotional, physical and spiritual body of the being. The Divine Grace petitioned by Peace Mother is quickly gifted to the recipient. Everyone who experiences Soul Retrieval Work with the Holy Mother feels the effects immediately and emerges looking radically different; they absolutely glow! 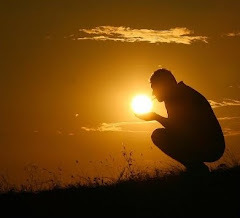 Once free of the layers of limiting energies acquired over a Lifetime, they are able to feel an intense connection to Spirit. They look younger, feel lighter, stronger and clearer about their Life, as Trust and Peace are heightened in them. The Soul Retrieval Limpias open the door to unlimited blessings. Some of these blessings are easy to spot immediately while others will reveal themselves later on, as the movement of the Kundalini (Spiritual Energy-Life Force) is balanced, and Wisdom is activated within the individual. Messages regarding one’s Life condition often surface within the seeker, as well as Clarity as to which spiritual practices will benefit them the most. All knowledge that arises in the individual from each SoulRetrieval-Shaktipat Limpia is a direct communication from Spirit in order to help the seeker reach their Highest Destiny. Although Holy Mother rarely performs individual Shaktipat Limpias in person, we are blessed She continues to shower this Soul Remedy via the online recording that She has created which is available at our site www.sacredpeace.org. She also sometimes offers Shaktipat Limpias through conference calls or via remote prayers at Her altar. Whether a Pure Being such as the Holy Mother performs Soul Retrieval prayers over someone via phone or remote means, individually or in a group setting, the power of those prayers is tangibly seen and felt, because Grace knows no limitations. As is the case with other Saints, the Grace residing within the Holy Mother transcends walls, time or distance! There is no area of our lives that has not been improved due to the Holy Mother’s Grace. The infusion of Light delivered during Shaktipat Limpias expands consciousness in a mystical, miraculous way, resulting in rapid spiritual growth. 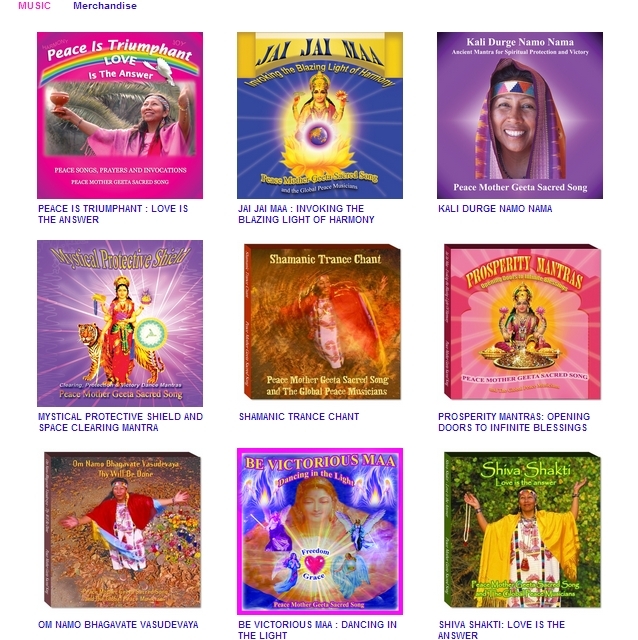 We, the Peace Team members that support Peace Mother’s mission, have experienced that whenever there is a challenge blocking our path, by listening to the online recording of the Shaktipat Limpia, the problem is quickly removed. Solutions miraculously appear! We have witnessed how amazingly the Shaktipat Limpias assist us with spiritual—emotional—mental—and physical challenges. For example, one Peace Team member constantly walked hunched over and one day Peace Mother asked him why he did not straighten his posture. He replied that he could not and that if he tried to, he experienced intense pain. The Soul Retrieval Shaktipat Limpias healed his back and since then, he is able to stand up straight without pain! Q: What other results have been seen from Soul Retrieval Limpias? All the Divine Forces work together to cleanse you psychically, physically, emotionally and spiritually. They help remove obstacles and karmic chains causing the problems, often with miraculous results. There have been cas- es of people who could not speak, eat or move due to dark forces pushing them towards death. 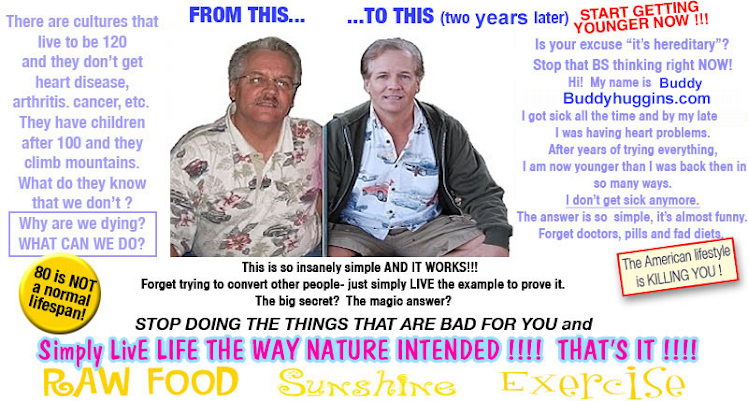 They quickly regained Life-Force and began to lead a healthy Life once again. In other instances, through the Holy Mother’s prayers, there have been those whoweresuddenlyabletowalk,eventhough minutes before they could not even stand up! 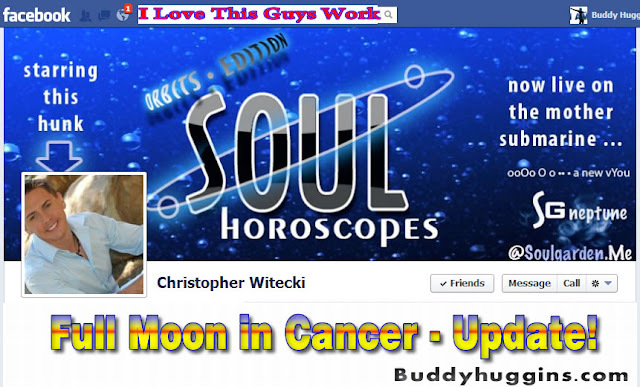 She has done healing work over individuals with multiple large tumors, and has seen their tumors shrink or disappear. Addictions of years upon years have been dissolved, allowing the person to go forth and blossom. Personality disorders have been replaced with Balanced, self-honoring behavior. Cou- ples who were entangled in hostility were able to discover harmonious ways to proceed and interact with each other. Some divorces were avoided as the couples reconciled with new understanding and appreciation of each other; other’s whose souls had completed the time they were meant to be married, were able to move on to a different way of relating to each other, in Peace and Respect. 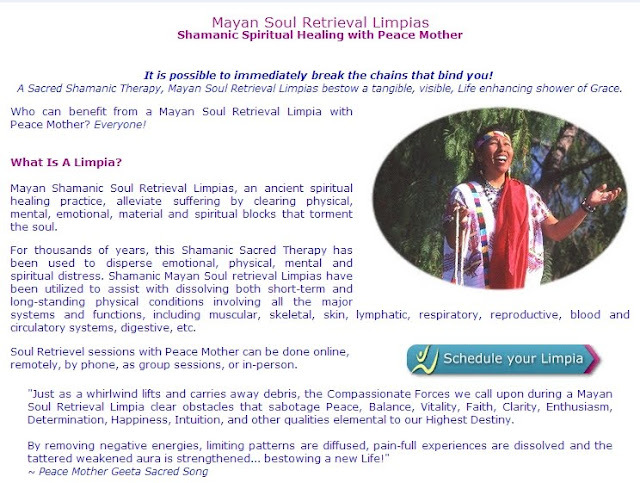 Mayan Soul Retrieval Limpias have changed family dynamics, helped children, men and women through their karmic challenges and empowered many to emerge triumphant! Each time the Holy Mother lifts negative influences from the soul, Divine Mother gifts the being a thicker protective shield against psychic attack. Each Soul Retrieval Limpia dissolves layers of fear and bestows greater knowledge on how to disintegrate evil forces. Grace breaks down inner and outer barriers and the individual is able to experience a sense of spiritual protection and safety. 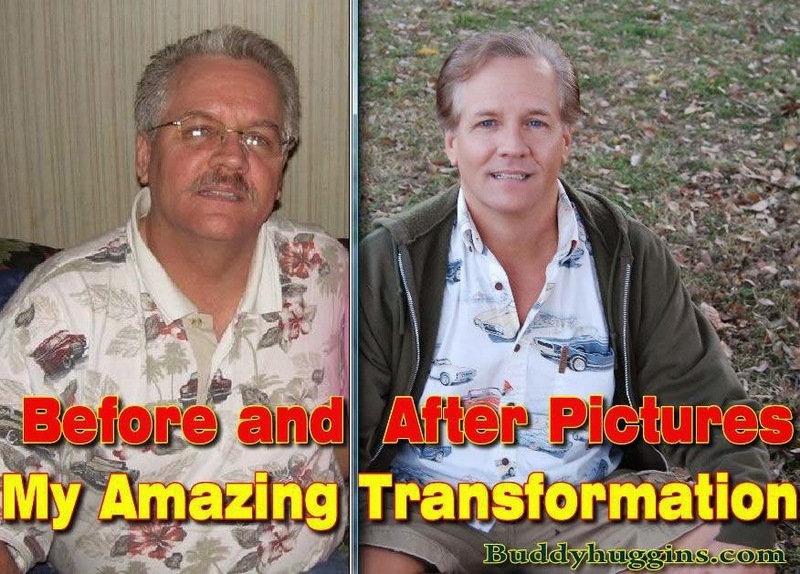 Most definitely the list of transformations and salvations is too long to cover here, so we just share with you a few examples. It is utterly amazing to watch the soul healing occur! Many cry during their sessions or afterwards at the miracle they saw and felt. Many share that Soul Retrieval Limpias opened up their Third Eye enabling them to actually feel or see the indescribable presence of their Angels or Spirit Guides, infusing them with a lightness and closeness to God not known before. Soul Retrieval Limpias by the Holy Mother are known to bestow a new Life brimming with fresh enthusiasm for the Path and a bright outlook on Life! They help us be the Divine beings we truly are. 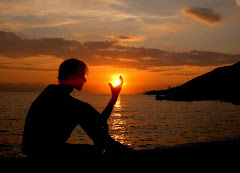 Q: How do Soul Retrieval Limpias dis- solve my Karma – past life and current? a) all the possible good can be BESTOWED by the Compassionate Divine Forcesb) all the possible good can be RECEIVED by you. Q: Who can benefit from Soul Retrieval Limpias?Anyone that has a challenge, problem or unfulfilled desires in his or her Life- especially children and individuals who are sensitive. All beings that choose to remain aligned in their spirituality and strive for strength, success and total balance, will benefit from these Soul Retrieval Limpias. All those who wish to amplify the Prosperity, Love and strongfoundation in their Life can benefit from a shower of Grace. Our ability to attract Good, sustain Goodness and enjoy a Great, Wholesome, Vibrant Life is enhanced by Mayan Soul Retrieval sessions. Soul Retrieval Limpias help dissolve all types of blockages and they accelerate our spiritual unfoldment. They help the aura strengthen and expand, which then opens the door to your highest Good. 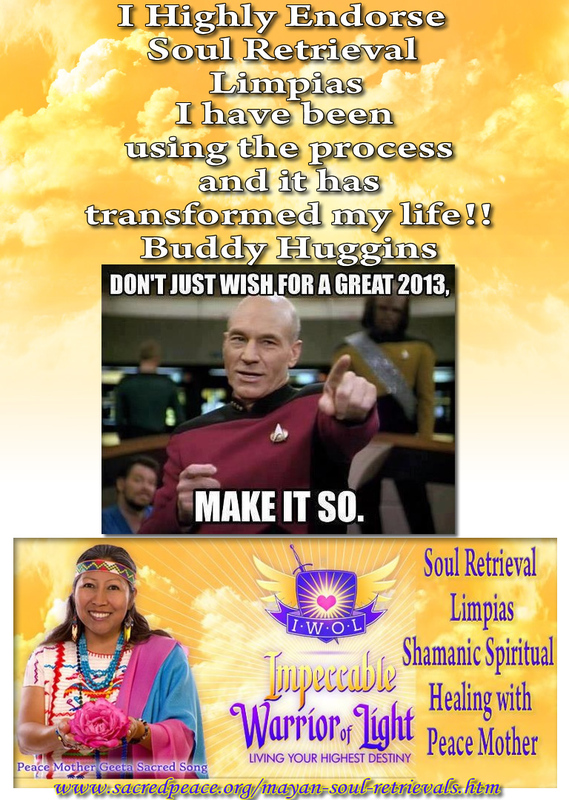 With the help of Soul Retrieval Limpias, it becomes possible for you to receive spiritual gifts such as increased Vitality, Clarity, Prosperity, Love, Co-operation, Support, Success, Enthusiasm, Rec- ognition, Balance, Strength, Courage, Patience, Wisdom, Enlightenment and Peace in your Life! May you have the great fortune to be able to experience this Divine shower of Holy Mother’s Grace and Radiant LOVE that will ignite the brilliant LIGHT within YOU! 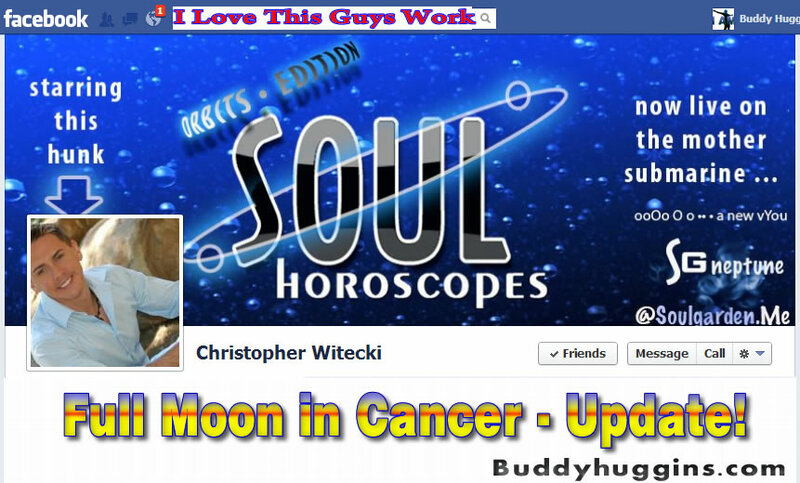 Soul Horoscopes - SoulGardenTV Full Moon in Cancer - Update! What is the "Black Knight" satellite? It is a mysterious satellite, of unknown origin, discovered in 1960 which shadowed Sputnik. It is believed to have been of extraterrestrial origin, and signaled back old radio waves from the 1920s and 1930s before it disappeared. In short wave patterns analyzed by astronomer Duncan Lunan, it revealed its origin as Epsilon Boötes (or the star system as it was 13,000 years ago). "In February 1960 the US detected an unknown object in polar orbit, a feat that neither they or the USSR had been able to accomplish. As if that wasn't enough, it apparently was several sizes larger than anything either country would have been able to get off the ground. And then, the oddness began. HAM operators began to receive strange coded messages. One person in particular said he managed to decode one of the transmissions, and it corresponded to a star chart. A star chart which would have been plotted from earth 13,000 years ago, and focused on the Epsilon Bostes star system. On September 3, 1960, seven months after the satellite was first detected by radar, a tracking camera at Grumman Aircraft Corporation's Long Island factory took a photograph of it. People on the ground had been occasionally seeing it for about two weeks at that point. Viewers would make it out as a red glowing object moving in an east-to-west orbit. Most satellites of the time, according to what little material I've been able to find on the black knight satellite, moved from west-to-east. It's speed was also about three times normal. A committee was formed to examine it, but nothing more was ever made public. Three years later, Gordon Cooper was launched into space for a 22 orbit mission. On his final orbit, he reported seeing a glowing green shape ahead of his capsule, and heading in his direction. It's said that the Muchea tracking station, in Australia, which Cooper reported this too was also able to pick it up on radar traveling in an east-to-west orbit. This event was reported by NBC, but reporters were forbidden to ask Cooper about the event on his landing. The official explanation is that an electrical malfunction in the capsule had caused high levels of carbon dioxide, which induced hallucinations." Now, I [webmaster] haven't been able to find reports on this satellite from any news source, but given the recently discovered photos from Russian satellite footage and the stories regarding unknown objects that the early US astronauts saw, I'm inclined to believe this satellite existed. However, the question is its origin- was it a secret US military project, an artifact from earlier in history, or extraterrestrial? The evidence is insufficient to determine the answer. Illuminati secret government hoax conspiracy ?? 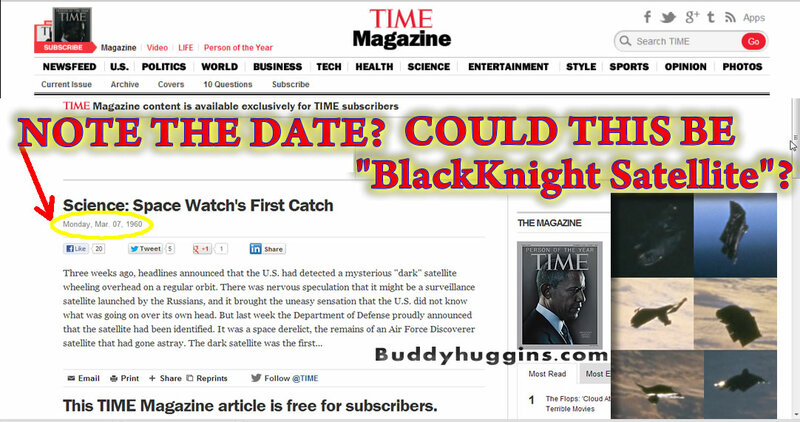 The Black Knight Satellite - Alien Tech Hiding In Plane Sight - NASA HD-Pictures. The satellite weighs over 15 Tons. No country in the world could launch a 15 ton object into space at the time is was 1st discovered in 1899 and I am not sure if we can do it with our modern rocket tech even today! Before I posted this article I searched the board for any mention of it. This alien craft has been over the earth in a polar orbit for over 13,000 years as estimated by scientists. I heard about it in 1987 when the space shuttle transmitted photos of it back to earth and it actually made the news! Since then it has been banned from news and media and has been filed away. Matter of fact... When spotted from earth it is blamed to be an asteroid. Is this the asteroid that we are supposed to see fly within a hairs breath of our planet on Feb 16th 2013 (Asteroid 2012 DA14)??? My next question is... Who is SETI really working for?? Is that all a front??? 2 major problems with this UFO. 1st: The object weighs over 15 Tons. No country in the world could launch a 15 ton object into space at the time is was 1st discovered in 1899 and I am not sure if we can do it with our modern rocket tech even today! 2nd: The UFO at the time of its discovery was in a polar orbit. Yet, another technology we did not posses until recently. All photos below were taken by NASA and were actually on the NASA website for years! In 1899: Tesla developed a high-voltage, radio transmission equipment in Colorado Springs. Teslas announced that he was receiving a electrical signal which appears to intelligent. The signal was clearly repeated periodically with such a clear suggestion of number and order. This lead him to believe that the signal was extraterrestrial communication with aliens. At first he assumed they were originating from Mars. Later he changed that opinion and stated in one of his new conferences that the signal was coming from somewhere else in space. A few years later: Guglielmo Marconi was intercepted a strange unknown artificial signal. We better all be prepared... We are so easy to deceive because we are a species with amnesia. We have forgotten where we came from and who we are. In my opinion the Zombie Apocalypse has already begun... Just look around at everyone walking around totally lost and blind and eating whatever they are fed. Three weeks ago, headlines announced that the U.S. had detected a mysterious "dark" satellite wheeling overhead on a regular orbit. There was nervous speculation that it might be a surveillance satellite launched by the Russians, and it brought the uneasy sensation that the U.S. did not know what was going on over its own head. But last week the Department of Defense proudly announced that the satellite had been identified. It was a space derelict, the remains of an Air Force Discoverer satellite that had gone astray. The dark satellite was the first object to demonstrate the effectiveness of the U.S.'s new watch on space. And the three-week time lag in identification was proof that the system still lacks full coordination and that some bugs still have to be ironed out. First Sighting. The most important component of the space watch went into operation about six months ago with the construction of "Dark Fence," a kind of radar trip wire stretching across the width of the U.S. Designed by the Naval Research Laboratory to keep track of satellites whose radios are silent, it is a notable improvement on other radars, which have difficulty finding a small satellite unless they know where to look. Big, 50-kw. transmitters were established at Gila River, near Phoenix, Ariz, and Jordan Lake, Ala., spraying radio waves upward in the shape of open fans. Some 250 miles on either side, receiving stations pick up signals that bounce off any object passing through the fans. By a kind of triangulation, the operators can make rough estimates of the object's speed, distance and course. On Jan. 31 Dark Fence detected two passes of what seemed to be an unknown space object. After detecting several passes during the following days, Captain W. E. Berg, commanding officer of Dark Fence, decided that something was circling overhead on a roughly polar orbit. He raced to the Pentagon and in person reported the menacing stranger to Chief of Naval Operations Arleigh Burke. Within minutes the news was communicated to President Eisenhower and marked top secret. In the confusion, there was a delay before anyone took the step necessary to positively identify the strange satellite: informing the Air Force's newly established surveillance center in Bedford, Mass. It is the surveillance center's job to take all observations on satellites from all friendly observing centers, both optical and electronic, feed them into computers to produce figures that will identify each satellite, describe its orbit and predict its behavior. Says one top official, explaining the cold facts of the space age: "The only way of knowing that a new satellite has appeared is by keeping track of the old ones." It took two weeks for Dark Fence's scientists to check back through their taped observations, and to discover that the mysterious satellite had first showed up on Aug. 15. The Air Force surveillance center also checked its records to provide a list of everything else that was circling in the sky, and its computers worked out a detailed description of the new object's behavior. The evidence from both Air Force and Navy pointed to Discoverer V, fired from Vandenberg Air Force Base, Calif, on Aug. 13.